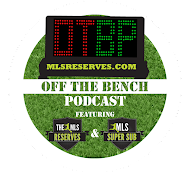 The MLS Reserves: Where Does Houston Go From Here? Where Does Houston Go From Here? Sitting in fifth place in the Eastern Conference, on 49 points after 31 games played, the Houston Dynamo are currently only just in the playoff picture and face a tough final stretch of the season. The Eastern Conference is currently looking much tighter than the Western Conference, with five teams seriously vying for the remaining four playoff spots (Sporting Kansas City clinched their spot with a 2-0 win over Chicago last weekend). Houston, who have made the playoffs in five of their six seasons in MLS (including winning the MLS Cup in 2006 and 2007), are aiming for yet another run for the title this time around. But will they get the chance to even participate in the playoffs, with the standings so close? Of course, the only way to know for sure is to see the season out. Houston will either make the playoffs, or they will not. With two of their three remaining matches at home, the Dynamo do possess somewhat of an advantage, but they also have the added obstacle of a CONCACAF Champions League fixture against Olimpia. Every point will count. While Houston have been very strong at home -- undefeated, in fact -- they will need wins, not just draws, if they want to stay in the pack. The pressure is on. 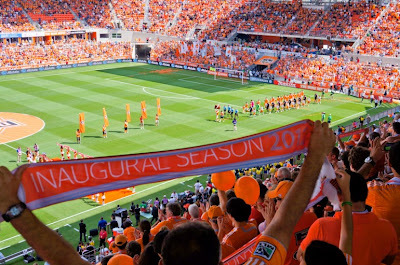 The Houston Dynamo started this 2012 season on an extended road trip due to the construction of their new soccer specific home, BBVA Compass Stadium. In their first seven games, the Dynamo posted a 2-3-2 record in away stadiums that put them somewhere in the middle of the table. Not at the top, not at the bottom, but in a solid position to gain momentum moving forward. And gain momentum they did. The Dynamo played to three losses in those first seven matches, but it took them their next seventeen games to lose three more times. Between July 15th and August 3rd, Houston went on a five game winning streak that included a 4-0 thumping of DC United as well as victories over Sporting Kansas City and the New York Red Bulls. Meanwhile, Houston have yet to be beaten at home. That’s sixteen matches for those of you counting. Sixteen matches in which the Dynamo failed to fail. There may have been some disappointing draws thrown in there, but it’s tough to complain about earning at least a point every time you play in front of your home fans. And with two of your next three opponents coming to you, in the brilliant orange oven that is BBVA -- if you’re the Dynamo, you’re feeling pretty all right about the MLS schedule for once. Beyond a strong home field advantage, though, it’s Houston as a team that really matters. In Dominic Kinnear they have a coach who, quite simply, knows his stuff. He has lead them to two titles before and certainly possesses the experience of a winning coach. He has put together a strong side, though at times their on-field performance doesn’t quite match up with what’s on paper. Recently, the Dynamo fell 3-1 to the Philadelphia Union in a game most probably didn’t predict them to lose. Puzzling results happen in MLS all the time, but Houston, after climbing up in the standings, have allowed themselves to slip down again when it matters most. After that nice five-game winning streak, Houston have only won twice in their last eight games, both times at home. 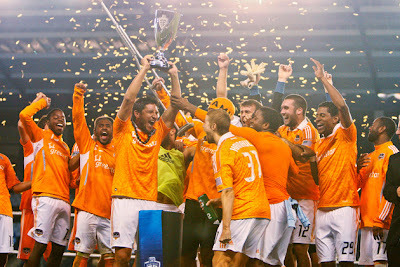 Certainly, the Dynamo have the players to go far. Their roster boasts an attack that has scored at least one goal in all of the Dynamo’s games this season except six, despite the formation often changing from week to week. The acquisition of Honduran midfielder Óscar Boniek García proved worthwhile almost immediately, and the more recent return of Ricardo Clark has added central depth and strength to the squad. Losing a player like Geoff Cameron to EPL side Stoke City might have hurt another team, but Houston’s defense, while not perfect, has posted six clean sheets in their last seven wins. Adam Moffat in particular has provided security in the center of the park, while goalkeeper Tally Hall has been excellent as ever. There are nine available points left for Houston to take this season, and the Dynamo have perhaps the easiest last three matches out of all the contenders of the Eastern playoffs. They face Montreal and Philadelphia at home before traveling to Colorado; Montreal could definitely be tricky, but Philadelphia has little to play for on top of being, well, not all that good, and Colorado is both not very good and in the Western Conference. Every other team in contention for the playoffs has to play two other top Eastern Conference teams in the coming weeks. DC United has to play both Chicago and Columbus; Columbus has to play Kansas City in addition to DC, while Chicago meets New York, and New York meets Kansas City. It’s turned into a mash-up of hugely important matches that doesn’t happen to include Houston, which means the Dynamo have the opportunity to get points without running into their main conference rivals. It’s possible that Houston will take all nine points and they will indeed be in the playoffs, but winning their last three games would mean putting together back-to-back wins. That’s something they haven’t done since that mid-July/early-August run. They will need to focus and concentrate on consistency, because if they drop even a point, they’ll be in danger of falling out of the picture. They could benefit, though, if DC United drops points or Columbus fails to gain points. At this point, a playoff spot is Houston’s to lose. Don’t be surprised if you see them make the cut when the season ends. But making the playoffs is only part of the goal -- then there’s the MLS Cup final to look towards. This is where things get more difficult for Houston. If they only keep hold on fifth place, they’ll have to play the knockout game away from home, but if they can leapfrog DC United, they’ll have their extremely valuable home field advantage. Houston could end up in second or third place, but it’s almost impossible to predict whether they will because so much depends on how the other teams fare. Ultimately? If Houston can make it into the conference semifinals, they can make it to the final. Whether they can win is a different matter, but MLS can almost always go either way.